...: magpie jewellery got a pretty new site. 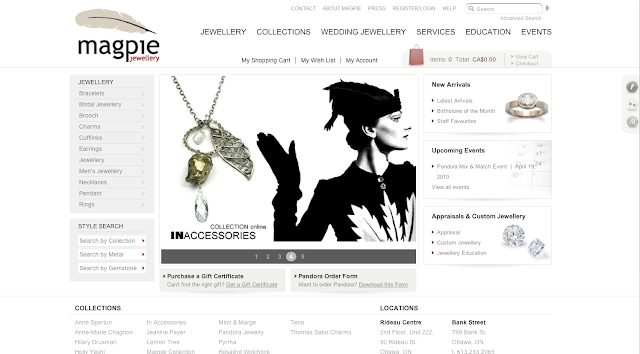 magpie jewellery got a pretty new site. everyone in Ottawa (well.. at least all the girls) have heard heard of magpie jewellery once or twice in passing- heck the majority of girls around here seem to own at least one piece from magpie. this amazing jewellery store has launched their new site as of today- and bv02 did the redesign. I've got to say congrats to our team and the magpie girls for such a great end result.